The sun beats against the white lacquered walls of the Tuolumne Meadows store as the grease sizzling in the grill filters out the door. A breeze rattles the notes, flyers and pictures tacked to the cork board out front; climber partner wanted, gear for sale, looking for a ride, missing persons - it's always the same year after year, week after week yet checking the board, scanning the names, looking for some bit of inspiration scribbled on a scrap has become regular habit. A faded and sun-bleached picture of John Bachar soloing adorns the left side of the board, written in marker below it says, "Bachar Lives." Tuolumne is riddled with the imprint of Bachar - while he passed on in 2009 much of him still remains and it's arguable whether or not what's been left is a positive force (or not.) We all know the story of the ground-up days of bold in the 80's and early 90's - where anything from 5.5 to 5.11 could be so run-out that injury and possibly death become factors of the climb. 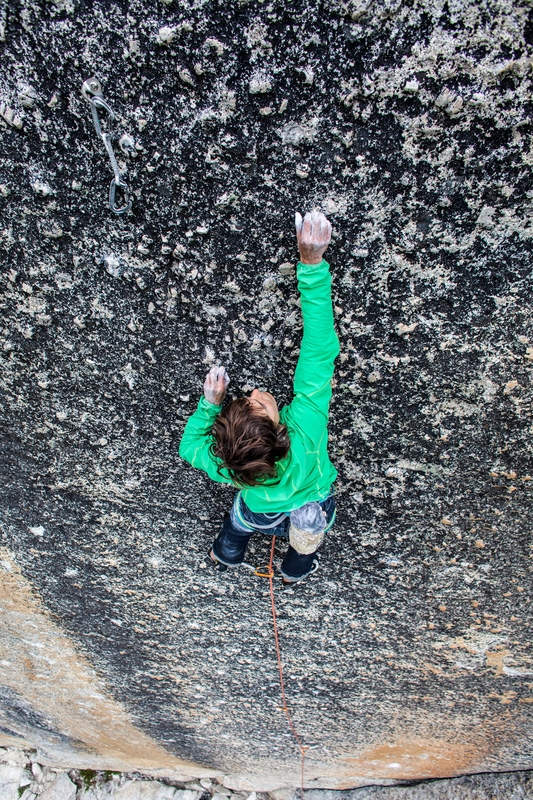 Bachar wasn't the only one establishing hairball routes but he did have an immense role in the legacy that modern day climbers are left to face. Some more modern routes still follow this style but what it's all led to on the whole are mystery routes not oft repeated; routes that hold an allure but scare off those not seeking the questions or the answers of, "What is going on up there?" This year makes my 8th summer in Tuolumne and through the years I've found myself on quite a few precarious smears and stances searching for the next hold, the next bolt, the next gear placement and the passage that will unfold. Originally, I was drawn to Tuolumne by the Masters of Stone videos - Dan Osman not only soloing but dynoing way off the deck on Blue's Riff; Ron Kauk crimping his way up the pebbled streak of Peace. 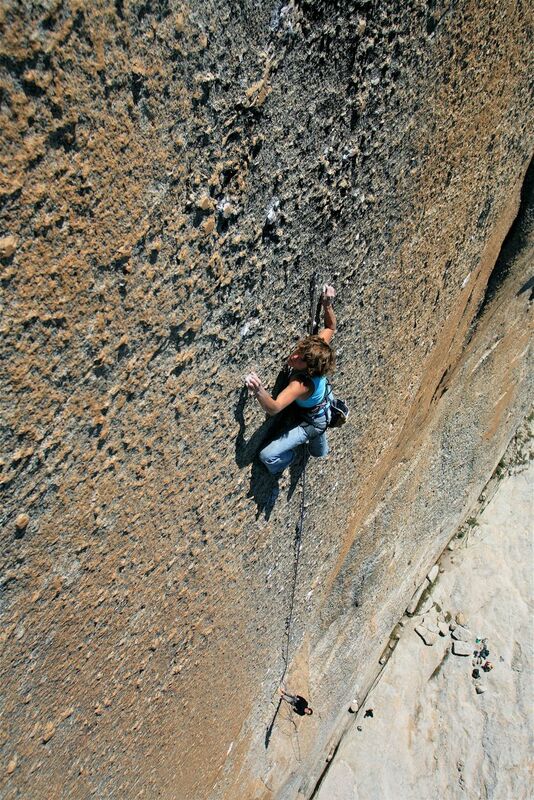 I heard tales of having to be head strong, sure footed and unwavering in motivation for the domeland of Yosemite. 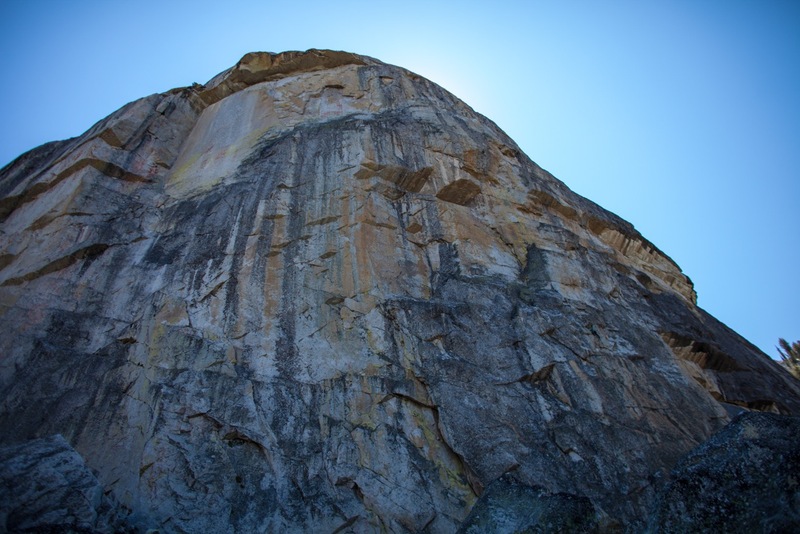 Since my first summer in Tuolumne I have picked my way through many of the classics and many of the more obscure, making many second ascents, some possible first ascents and learning a lot in the process. In 2009 I partnered up with Lonnie Kauk and together we made the 4th and 5th free ascents of Ron Kauk's contribution to Medlicott, Peace. In over a decade this superb piece of rock had only seen less than a dozen ascents. With a successful red-point of this 160 ft knobby crimpfest my ego made me feel special but I wondered why such a beauty had been left alone for so long. This route opened up a new world to me of Tuolumne climbing and in my search of the climbs of lore what I found were mossy holds, old bolts, weird bolts, run outs, technical test pieces and few people who wanted to embark on these journeys. It was becoming clear to me that these gems of the past were being looked over for safer, easier, more traveled terrain. Sometime in the 90's Dave Bengston put up a one pitch climb on Daff Dome which exits left off the sloping ledge from the 1st pitch of Cooke Book. His long and lanky figure spanned from distant hold to distant hold and he rated the pitch 5.12c and aptly named the route The Albatross. However, two more potential pitches loomed above and yet it wasn't until some 8 years later that they were unlocked and red-pointed by Mikey Schafer. Mikey's smaller stature and technical prowess laid to rest what Bengston's longer frame couldn't pull and thus The Rise and Fall of the Albatross was established going at 5.13a/b. Another 6 years went by before another ascent was made of the steep, technical and slightly run-out route when Ben Ditto and I both subsequently red-pointed every pitch summer 2012. While I was temporarily pleased with our accomplishment I was intrigued by a line that was veering off to the far right from the second pitch belay. I realized that this was the crux pitch of the infamous Bombs Over Tokyo. Rumors and mystery surrounded this climb and the words, "hariball and runout" seemed to drip off the holds. 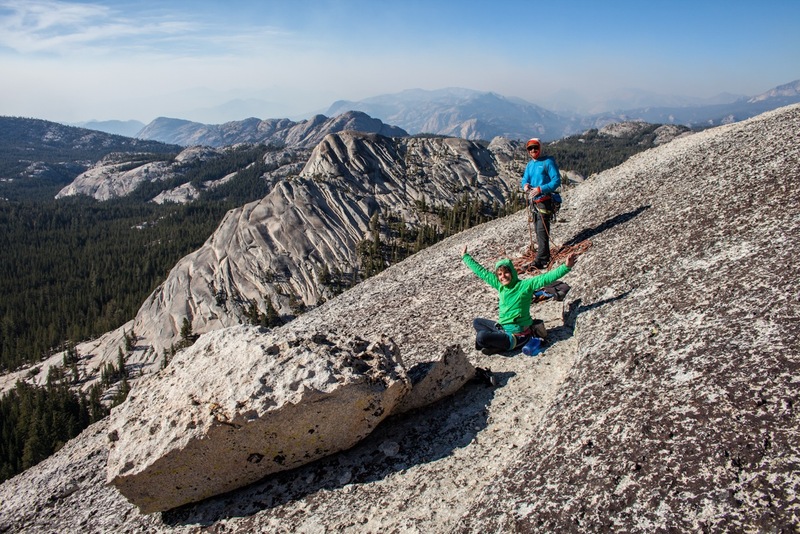 Just after our red-points of Albatross we left Tuolumne for the Cirque of the Unclimbables and then Europe. We wouldn't be in Tuolumne's graces for another year, yet my interest was piqued by this mysterious route and I vowed to return later. In July of this year I went from the ground to search out the mystery of Bachar's Bombs Over Tokyo. After the first and classic 5.10c pitch we encountered the 5.11dR pitch. A Bachar route in all it's glory as a fall going to the first and only pin some 20 plus feet up would result in a fall into a ledge and broken ankle. We went around and lowered in. The thin, closed off seam turned out to be more of a technical crimp fest than a lieback and the possibilty of any real solid gear was questionable. According to local hardman Bob Jensen, some friends had tried to pound in another Lost Arrow but couldn't get it in and they bailed. I was equipped with tiny nuts and managed to get two odd-ball placements of a small brassy and small offset. If they held a fall they would at least keep me off the ledge and even if they pulled they would hopefully slow me down enough to not totally smash my world apart. Hopefully all of my technical training on runout slabs would prove useful on this one. Then came Pitch 3, the real mystery of the route. Originally the aid line went strait up from the belay and then around an arete into a right angling crack. Bachar's account is that this is the line he freed; after a few attempts he red-pointed and rated it 5.12c. It looked ok, but what really had my interest was a bolt line going up and then way out right out of sight over a roof. 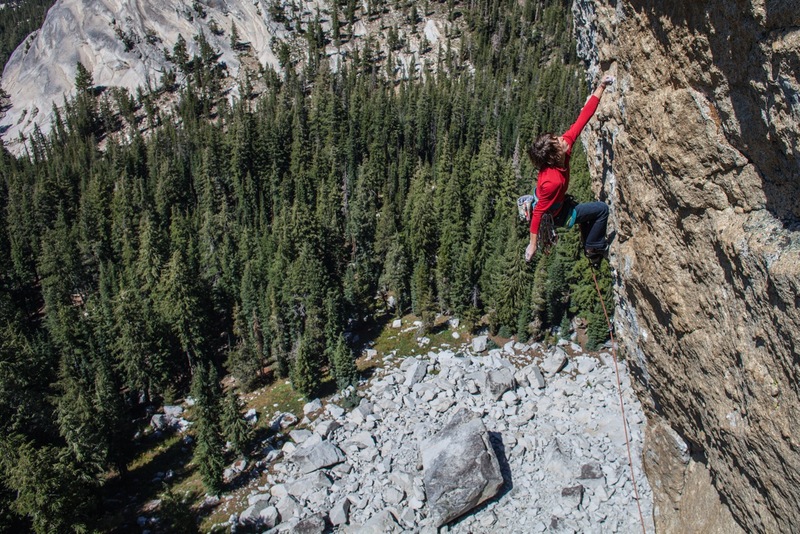 The "hairball traverse," that maybe hadn't gone free but had been attempted and was probably in the 5.13 range. I ventured up placing some cams and then moved down to the first bolt and the start of the hand traverse out fairly positive edges and knobs for 20 feet to the next bolt. A fall from this zone would have been terrible and resulted in another ankle breaking episode. Relieved at having made it to the second bolt I peeked around the corner at what lay ahead and what I saw was both amazing and intimidating. 40 more feet of traversing on thin edges to a down mantel to some hand traversing across a roof to another mantel up to hopefully some holds and then 40 more feet to the anchor. In all of that terrain there were 4 more bolts. They were newer, shiny and egged me onward. I took some deep breaths and set out around the corner and out of sight of my belayer. Climbing across fairly delicate and pliable holds I had made it to the roof and set about hand traversing out it. The exposure was surreal and it was starting to give me the creeps. I thought to myself that all I had to do was mantle up make a couple of moves and get to the next bolt. 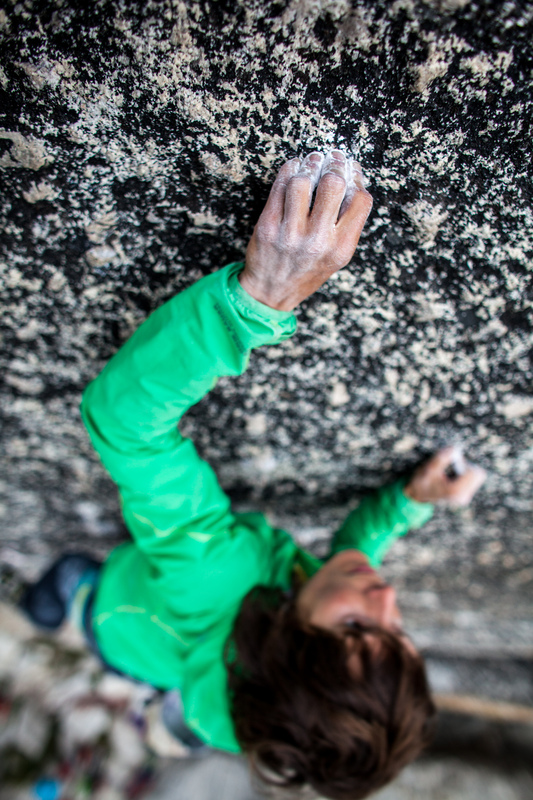 Except the holds were dirty and covered in lichen and every time I pulled up with a heel hook into the mantle they would slip a little and every time I would climb back down and way back left to the last bolt 15 feet behind me. I did this about 5 times, each time looking back at my 9.1 rope draped across sharp knobs, wondering if the sideways fall into the unknown below the roof would cut my rope. Eventually I returned to the belay, leaving behind two lowerout biners and we rapped to the ground. John Bachar Lives played over and over in my head as we walked down the trail and I was more intrigued than ever. I spent time thinking about the route, asking around about it's possible ascents and was left with questions. I kept climbing on other lesser known and lesser repeated routes. 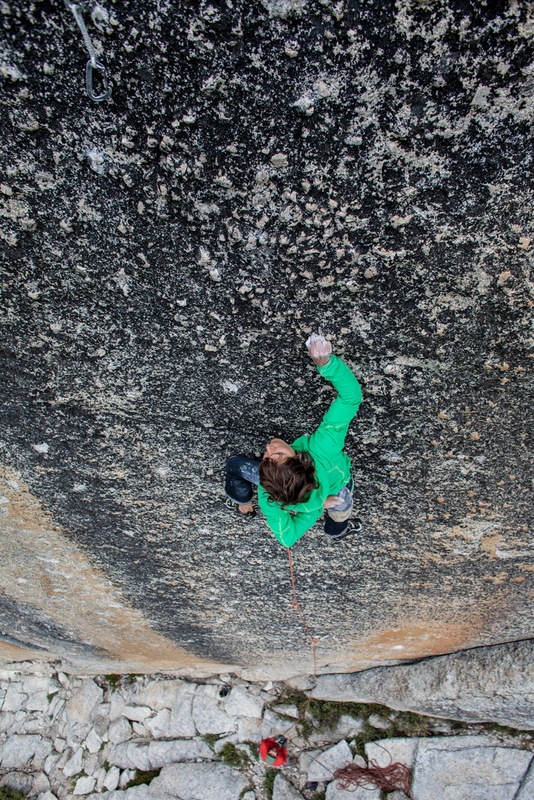 Ben Ditto and I made an ascent of one of Drug Dome's newer, forgotten classics called Anatolio (5.12+R). A route put up by Chad Shepard in honor of his departed grandfather. While on this route I became intrigued by yet another newer, forgotten classic put up by Sean Leary called Acapulco Gold, going at 5.12cR. It took me three different trips up the route before I could pull the moves on the wildly steep (by Tuolumne standards) crux pitch. In my attempts to stick the polished and sloping knobs I took a few large wingers out into space as there are no bolts which protect the crux moves making this route stiff and committing, (not to mention the R first and last pitches). It was fun to have such air time in Tuolumne and I relished the moments of flying. Eventually with the belay of good friend Patrick O'Donnell I made possibly the second ascent of this route. Continuing on with my tour of the harder, technical and lesser repeated routes of Yosemite's high country I set to work on another Ron Kauk contribution to Pywiak Dome called European Vacation (5.13b). A definite technical test piece and one with rumor of being too reachy for the shorter folks I was determined to sort out a sequence. 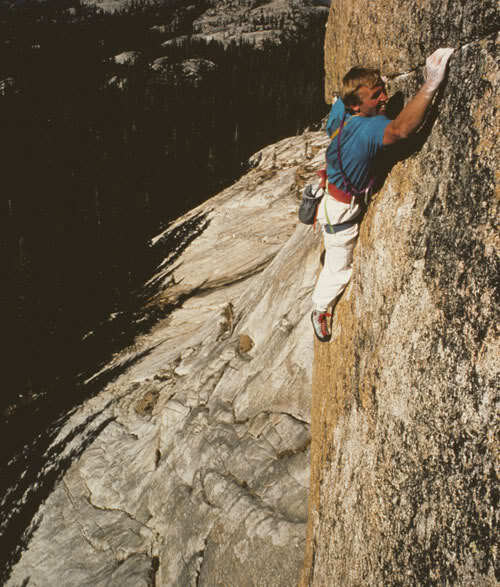 In asking Ron about it he could hardly count on two hands the number of known ascents of this route. 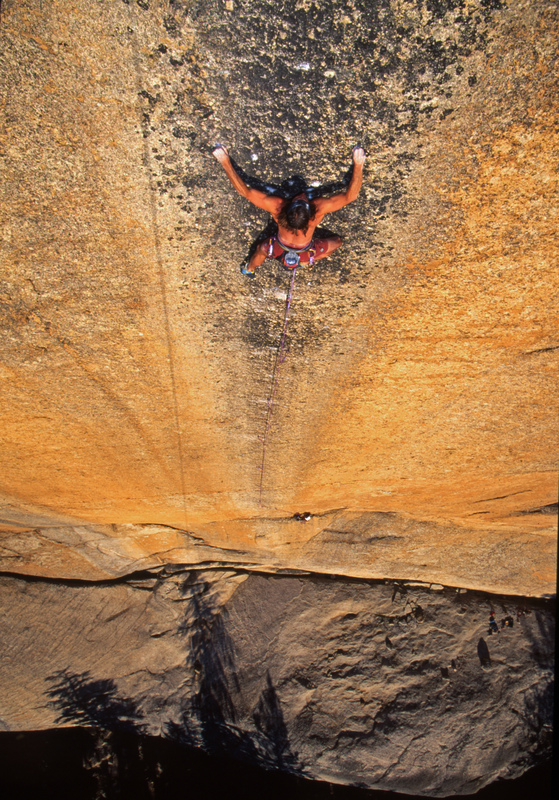 He did mention that Lynn Hill red-pointed it but as far as other women it was unlikely. My dear friends and fellow petit crushers, Maki Grossnick and Thea Marie and I tried it out one evening. Initially unable to pull the intro moves but managing to crimp and balance and steady our way through the rest of the route I was immediately hooked. Two more sessions in this beautiful spot hidden from the crowds and the noise of the road I managed to figure out the opening sequence and was blessed with another Tuolumne free ascent making possibly the second overall women's ascent of the route. On August 10th I once again set out to solve the mystery of Bombs Over Tokyo. Cruising up the most enjoyable 5.10 intro pitch I arrived at the 5.11R. Having placed two small nuts in shallow, precarious placements the thin, technical climbing was now protected with three pieces in it's entirety. As long as I stayed calm I could keep the balance and precision. I recalled the stories of this pitch with it's original two fixed pins and how one of them had fallen out. My nuts seemed solid enough and keeping my breathing regular I gently made my way to the anchor, hoping that the next crux pitch would go just as well. I belayed Ben up as he did quite spectacular on the foot chips and centimeter edges of the crack. So, here I was again on Pitch 3 climbing over and around the arete, crossing my left hand over my right onto half pad edges and smearing my feet on the steep gold wall. I reached the breakable, incut flake edge and shook out. I had a wicked forearm pump and was starting to consider the terrain ahead. Another cross to a bad, layered crimp and then the down mantle to the roof traverse to the final mantle to the balancy, technical face. Two more bolts stood between me and the anchor. Before setting off I had told Ben to just have a lot of slack out, as a fall from anywhere out there could result in a crater into the roof. I figured at least with a lot of slack I had the hopes of falling past the roof into space. I wavered between totally calm and confident to scared silly. I yelled back at Ben who was out of sight 60 feet away that I was scared and he replied, "It's ok, nothing bad can happen." That was all I needed to hear, a light went off in my mind. I just needed to let myself pull the moves. With some tenacity and assurance I climbed down to the roof, one foot below me, one foot heel hooking and into the sloping knobs and mantled up to edges. Soon enough I was balancing on both legs, pressing up to reach the high half pad crimp to clip the next bolt. I stood up, exhaled, chalked up and kept moving. I made it to the anchor and let out a "WOOT!" A party below us was on the 1st pitch of Bombs and the belayer yelled up in excitement. With two more moderate pitches to the summit I had done it. All summer I had sought out the questions and pulled through the mysteries. I had just put myth to rest and what I found to be truth wasn't so bad after all.